Our Valencia St agent remarks: “I only hope they also renovate the food quality”. Oh, and 901 Valencia used to be a saloon. Sometime after 1904, In 1909, the bar was taken over by Frank Lemoine. Prohibition turned it into a soda fountain run by H.I. 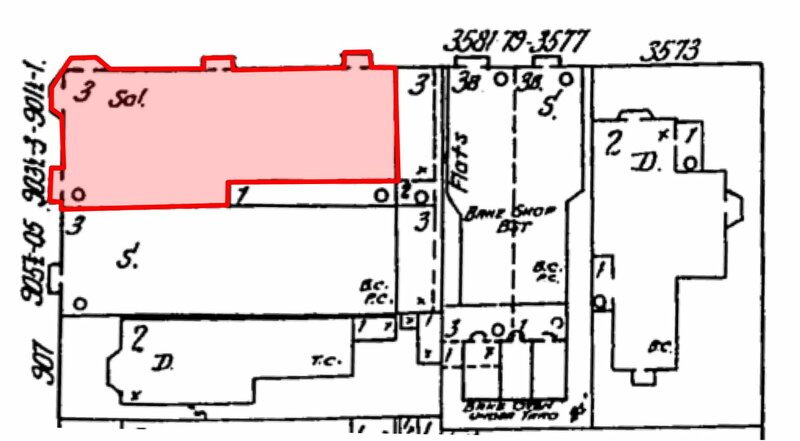 Buckman, as we see in the 1927 city directory. By 1938, it was home to the “Uneeda Coffee” Shop. I live right up the hill, and used to get drawn in for ‘a quick one’ when returning a video to Lost Weekend – after 2 or 3 Don Julio’s, I’d be on my way back home, but it was generally a different me. I’ve quit drinking since they closed, but still look forward to having them back on the block. NO NO NO NO NO NO NONONONONOOOOO. I went to too many miserable birthday parties there– every one a disaster, with rotten food that smelled of ammonia and tequila that smelled of wood alcohol. 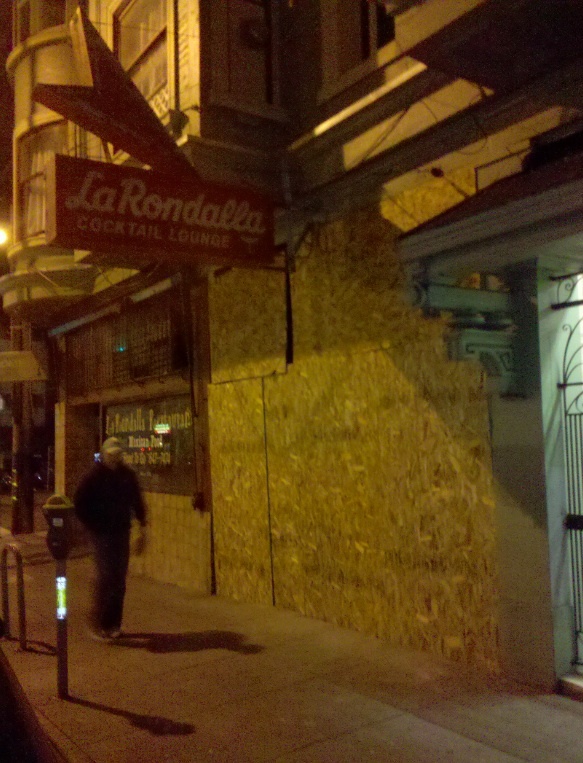 La Rondalla was filthy and nasty and deserves to stay dead. 2. Food contains possibly harmful impurities. The Uneeda Coffee thing is funny, too. I thought the Principled Grounds/Hey Joe!/Phi Beta Cuppa thing was a recent and unhappy development. I hope someone brings back the Uneeda Coffee Shop, even if it’s only a drag name.